Offer Starts From $1 - 10 Days Left! 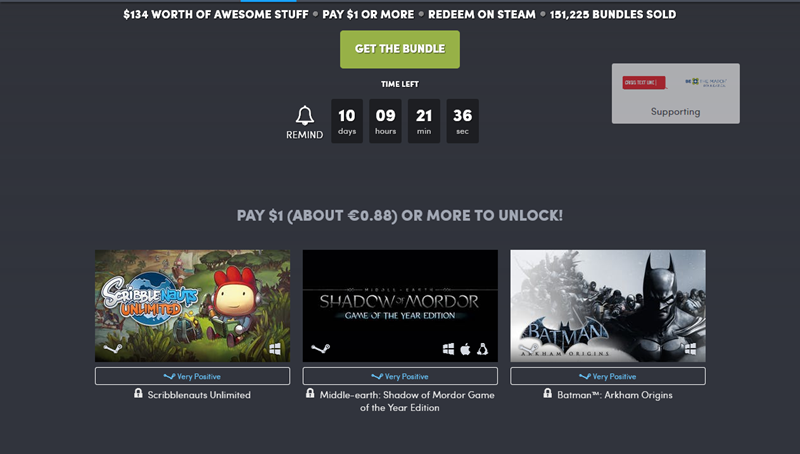 For purchases from $1 (0.88 €) and above, it offers Scribblenauts Unlimited (Windows), Middle-earth: Shadow of Mordor Game of the Year Edition (Windows, Mac, Linux) as well as Batman™: Arkham Origins (Windows). 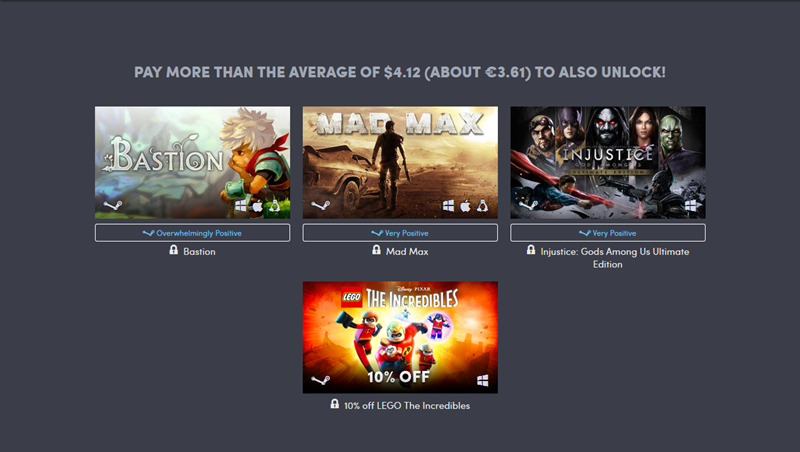 If you exceed $ 4.12 (€3.61), then it will also unlock Bastion (Windows), Mad Max (Windows, Mac, Linux), and Injustice: Gods Among Us Ultimate Edition (Windows). Providing you go over $12 (about € 10.51), then it will also unlock Batman ™: Arkham Knight and Batman™ and Arkham Knight Season Pass (Windows). It’s up to you how much money you’ll spend. Please note that the balance is given to charity organizations; you can also choose which organization the money will go to. You’ll find this offer on the Humble Bundle site. Redeem the games you purchase on Steam.